Despite the win, RCB finished at the bottom of the table with just seven points from 14 games. Delhi Daredevils ended their season on a disappointing note as Royal Challengers Bangalore emerged the winner in their last match of Indian Premier League at Feroz Shah Kotla in Delhi on Sunday. Daredevils bowlers kept RCB down to a middling total, but once again like other matches, their batting let them down eventually. Rishabh Pant was left without any support from the other end, out for 45 off 33 in the17th over. He did not get support from Samuels, Anderson and Cummins. Only Mohammad Shami did a little cameo, but that was not enough for the home team to chase down a modest target of RCB. Despite the win, Virat Kohli-led team finished at the bottom of the table, while Daredevils were placed sixth. 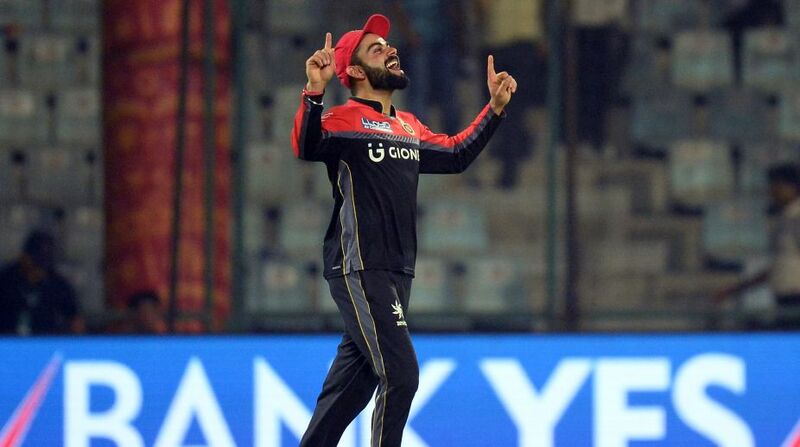 Earlier RCB skipper Virat Kohli, who is not so consistent in this edition of IPL, led from the front and made 58 runs in 45 balls to help his team to reach 161/6 in 20 overs against Daredevils in an inconsequential contest. Kohli and Gayle shared a 66-run partnership stand for the second-wicket as the team put up a modest total against Delhi. In the final over, Pawan Negi smashed three successive fours to help the side cross the 150-run mark. Gayle who even failed to open his account in last two matches, started RCB's proceedings with two boundaries off Daredevils captain Zaheer Khan's first over. He smashed two big sixes off Mohammad Shami in next over. Despite Gayle's onslaught, Daredevils got the first break when Pat Cummins got Vishnu Vinod. Then captain Kohli came in and the crowd roared in anticipation. Gayle who was more attacking during the power-play was struggling when Shami came back. Shami managed to check West Indian batsman very well and did not give much space to him. Kohli started tentatively but he broke the shackles by hitting Amit Mishra to the rope. After getting his famous sublime touch, the Indian captain sent Corey Anderson for a maximum. RCB reached 66 for one after 10 overs. Gayle and Kolhi took 19 runs in Mishra's over and gave a much-needed boost to RCB's run rate. Both the batsmen made 50 runs partnership in 41 balls. When Gayle was setting his tone for big score, Jharkhand spinner Shahbaz Nadeem had him caught at midwicket. It was really a soft dismissal for him. He fell two runs short of a half-century as Kohli brought up his fifty (fourth of the season off 39 balls). Zaheer got rid off Kohli when he tried to clobber him over mid-wicket.